Investors have had a good run over the last two months as we have seen the Canadian TSX 60 index roar higher 9% from a September low of 877.00 to its highs near 955.00. The question on everyone’s mind – is it over or is there more room to go? Is it too late to buy or should an investor wait on the sidelines for a pullback? This is the dilemma we investors face after such dramatic moves. Historically, after a market move of this magnitude, a correction driven by mean reversion would commonly ensue, but I think we can all agree that there is nothing “common” about today’s markets. This is where considering the ratio call spread is an interesting proposition. Those unfamiliar with the strategy can review the particulars on the TMX Equity Options Strategy Summary. 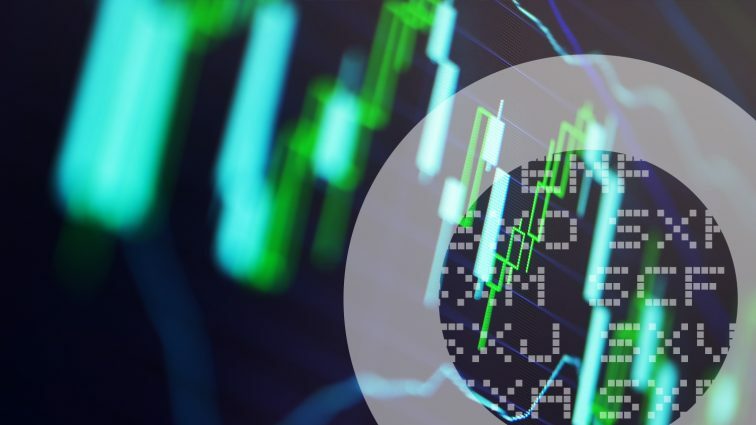 The strategy is to gain upside bullish participation if there is a further sharp rise in the market, while risking very little if the market corrects lower. 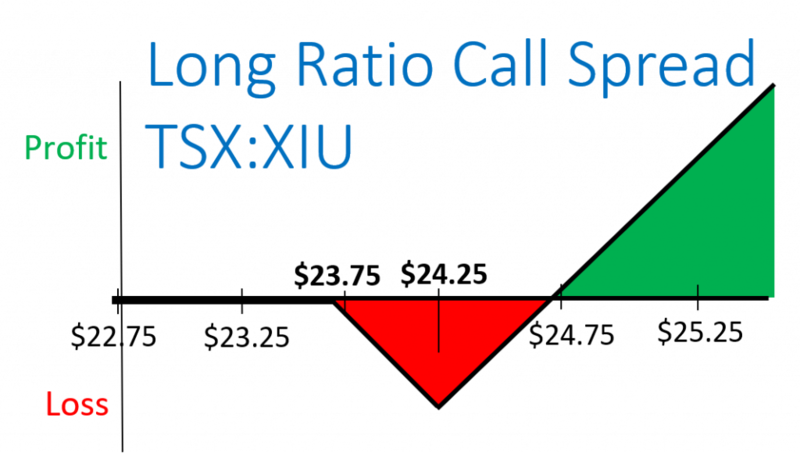 Let’s build an example using the S&P/TSX 60 ETF (TSX:XIU). The first observation to clarify is that it is not relevant to the trade if the position is open at a net credit/debit or at a zero-cost. It just so happens that this example nets out that way. What is the trade off from a traditional bullish position of buying call options? The key difference is that to be profitable, you need a solid bullish continuation with the XIU advancing another 5%+ into February of next year. A modest rally has very little benefit to the trader. The max loss point in the trade lies with a modest shallow rally that only advances to $24.25 as the February expiration approaches. Alternatively, if you are correct about a further bullish breakout, any rally above $24.75 by the expiration becomes a delta 1.00 position with unlimited upside (synthetically controlling 1000 shares). To summarize, to utilize the ratio call spread you need a market stance anticipating considerable volatility where there is potential big upside, but an increasing downside risk. Alternatively, if you are rather just modestly bullish, there are better strategies to consider like straight out bull call spreads.